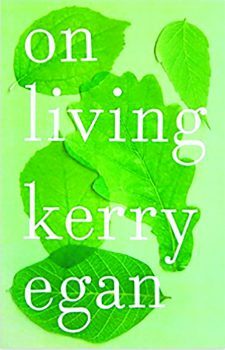 The accolades are starting to pour in for “On Living” (Riverhead Books), by Kerry Egan, a 1995 alumna of Washington and Lee University. Each patient, she noted, taught her something — how to find courage in the face of fear or the strength to make amends; how to be profoundly compassionate and fiercely empathetic; how to see the world in grays instead of in black and white. You can listen to Kerry’s thoughts on death, dying and living in her Oct. 26 interview on PBS’s “Fresh Air.” She’s also recorded a podcast with Reading By Robin.